The Browns are still in search of a GM, and on Thursday sat down for a talk with former Jaguars former vice president of player personnel James “Shack” Harris about the opening. Harris met with Browns owner Randy Lerner and some team officials in the New York area. Harris is candidate number four to interview for the opening for the position that was held by Phil Savage till he was canned the night before the season finale in Pittsburgh. Harris left the Jags before their final game of the season in Baltimore. The Jags were not too good in 2008, going 5-11 after being considered a contender in the AFC South to challenge the Colts for the top spot. Instead, they finshed last, three games behind the Texans for third in the division. The Browns are still eyeing Ravens director of player personnel George Kokinis for the GM spot as well, and many say that he’s still the front runner for the position. 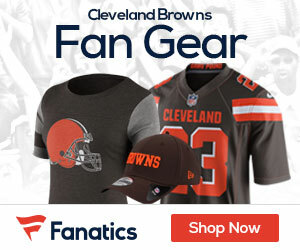 The Browns though cannot offer Kokinis the GM job till after the Ravens are done with their season, which will either be Sunday after the AFC Title game in Pittsburgh, or after the Super Bowl on February 1st in Tampa. Scott Pioli, who landed in KC, and Browns director of player personnel T.J. McCreight have also interviewed for the position.